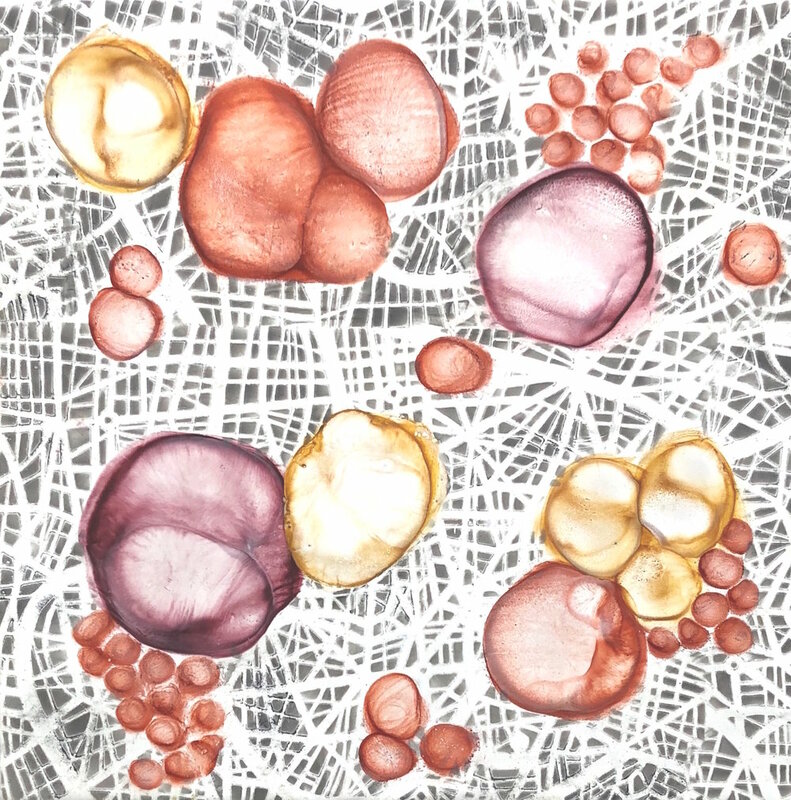 Microbial Visions features the work of Kay Hartung and artist/scientist collaborators Maria Peñil Cobo and Mehmet Berkmen. 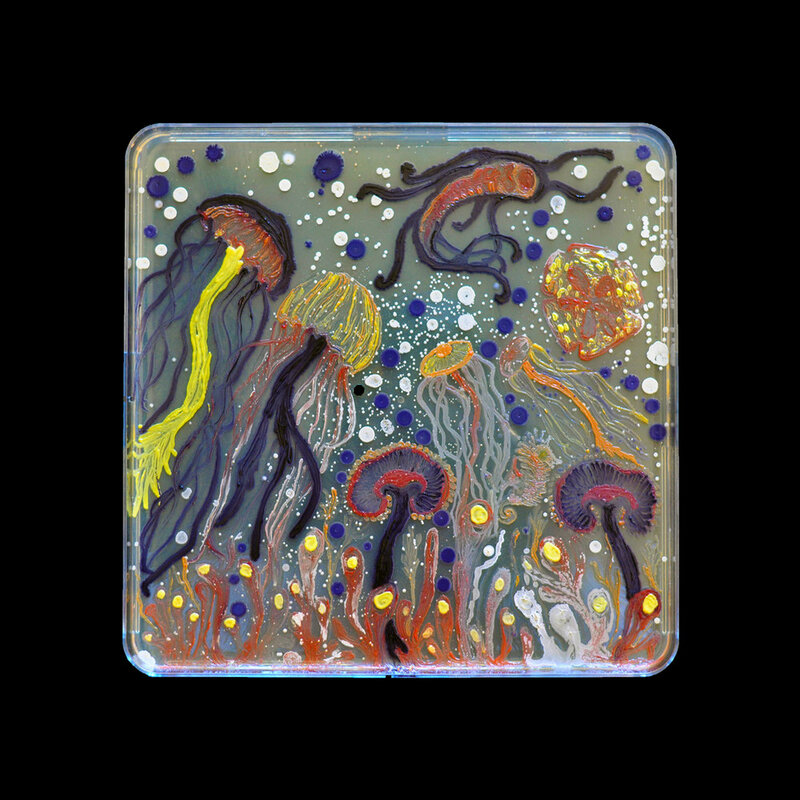 Two artists and a scientist use live bacteria, or encaustic, to reinvent the relationship humans have with microbes. Science and the arts share the same foundation–a desire to understand deeply and to share observations and perceptions in ways that convey important truths about our world and ourselves. Over centuries, the description of reality has been artificially split into methods of the arts and sciences. This separation is reflected in our academic institutions and taught at a young age to growing minds. Although philosophical separation between the arts and sciences is rooted in history and culture, artistic and scientific methodologies of describing reality are equally valid. A holistic approach to describing reality that brings together the arts and sciences is essential to have a more complete understanding of our world. 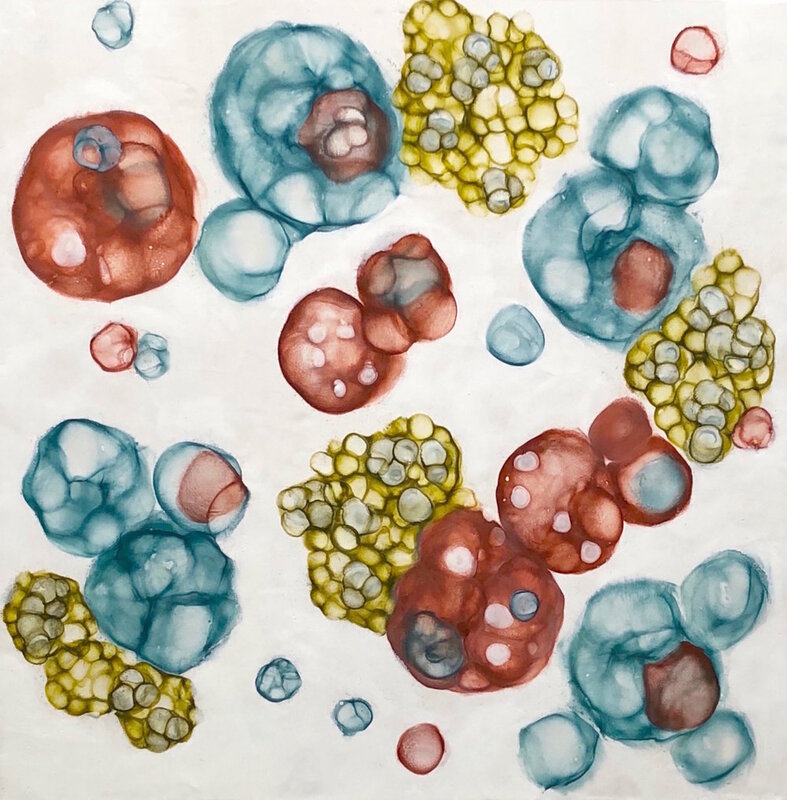 Artist Kay Hartung and artist/scientist collaborators Maria Peñil Cobo and Mehmet Berkmen explore microscopic life forms from complementary vantage points by using the universal language of art to bring the invisible to light, and to showcase its transcendent beauty. 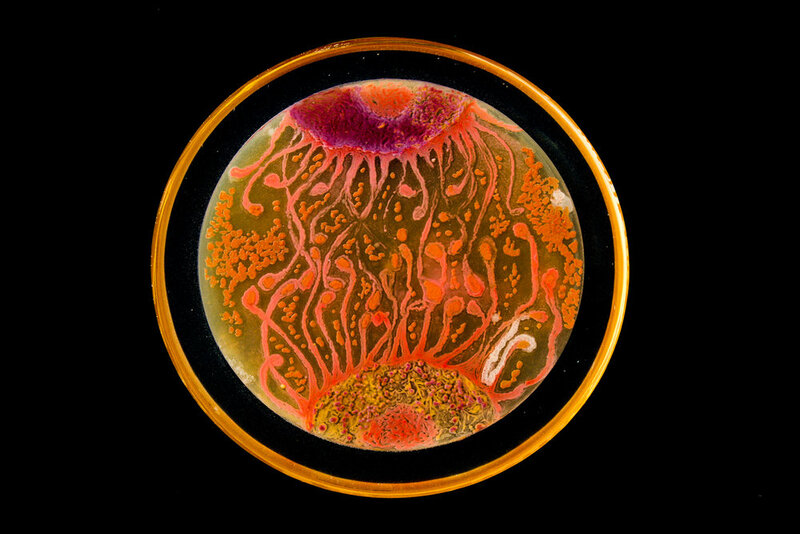 The three engage the public in the deeper understanding of the invisible world of bacteria, and increase their awareness and interactions with the microbial communities in and around us. 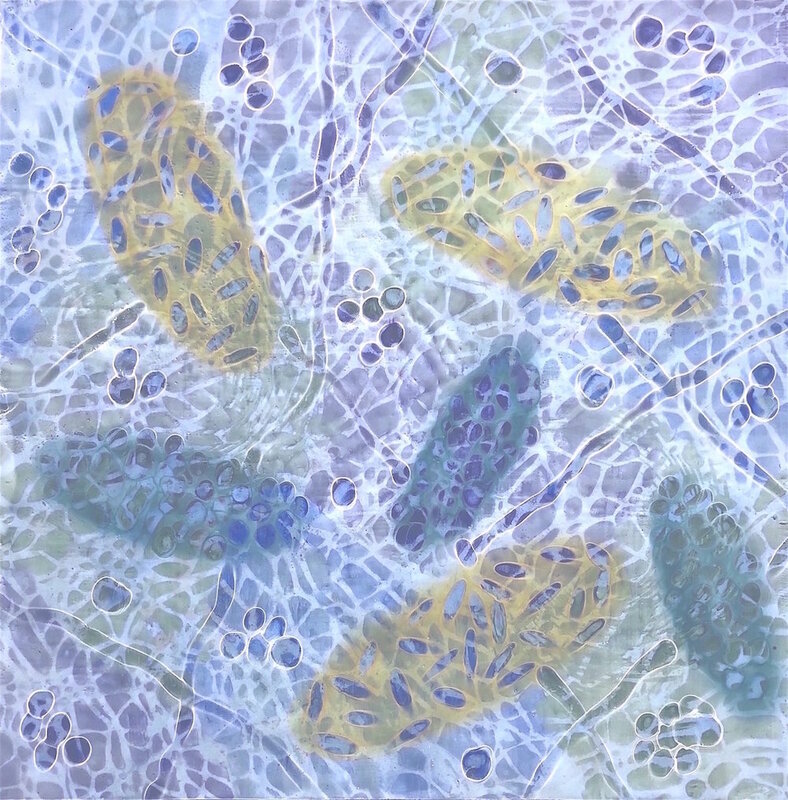 Maria Peñil Cobo and Mehmet Berkmen, during their eight-year collaboration, have used the universal language of art to bring the invisible to the visible and to familiarize the public with the beauty of bacteria. 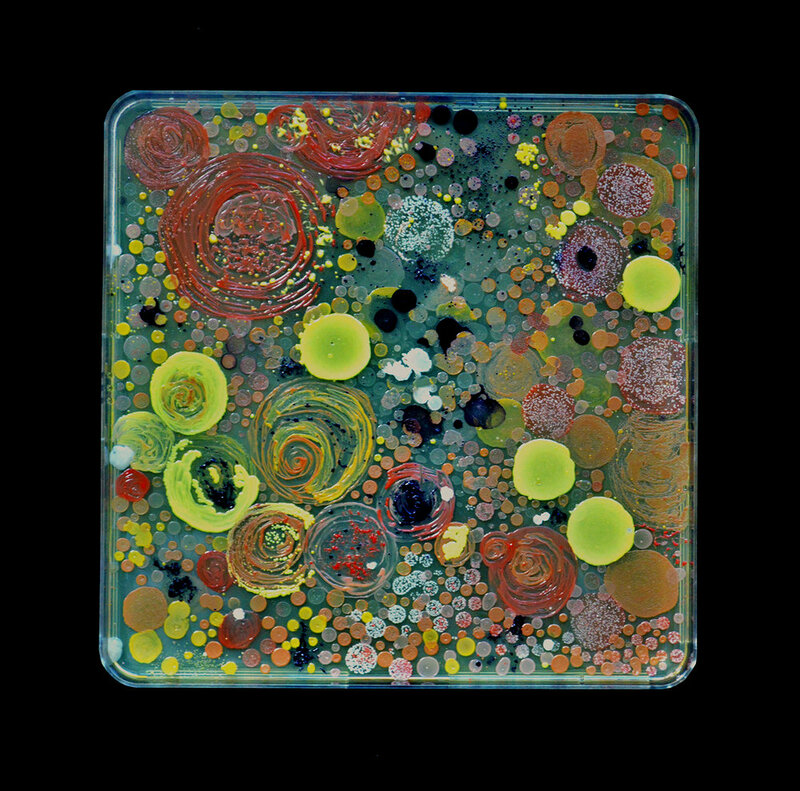 Agar, a gelatinous substance, is poured into a petri dish and becomes the canvas where microbes can be spread around like paint. The ‘paint’ will live, breathe and grow over time, often in unforeseeable ways. 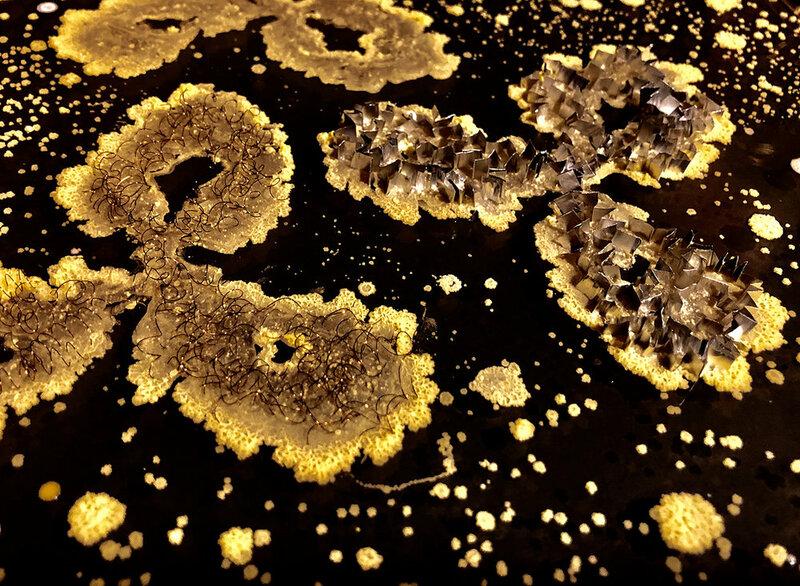 In order to preserve the final artwork, the agar petri dishes are sealed with epoxy, thus enabling viewers to touch and handle the work safely. 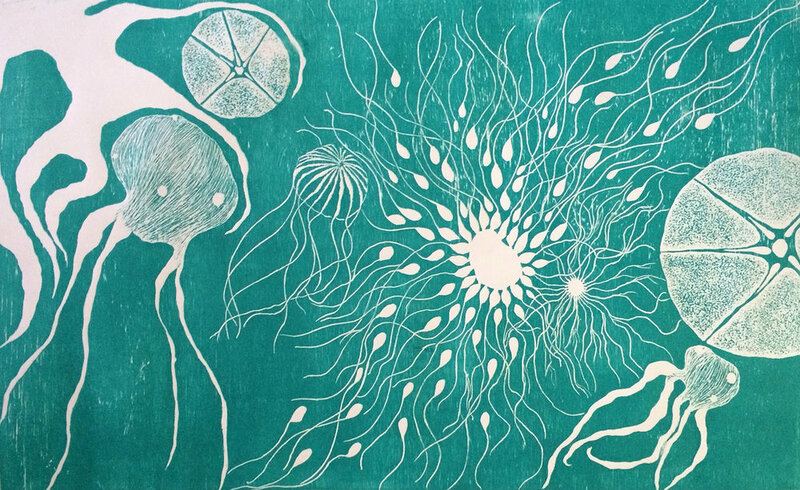 Maria Peñil Cobo is a mixed media artist, printmaker and sculptor who was born in San Vicente de la Barquera, a small fishing village in Spain. She studied Fine Arts at the University Complutense, where she also completed her Masters degree in Art Education. 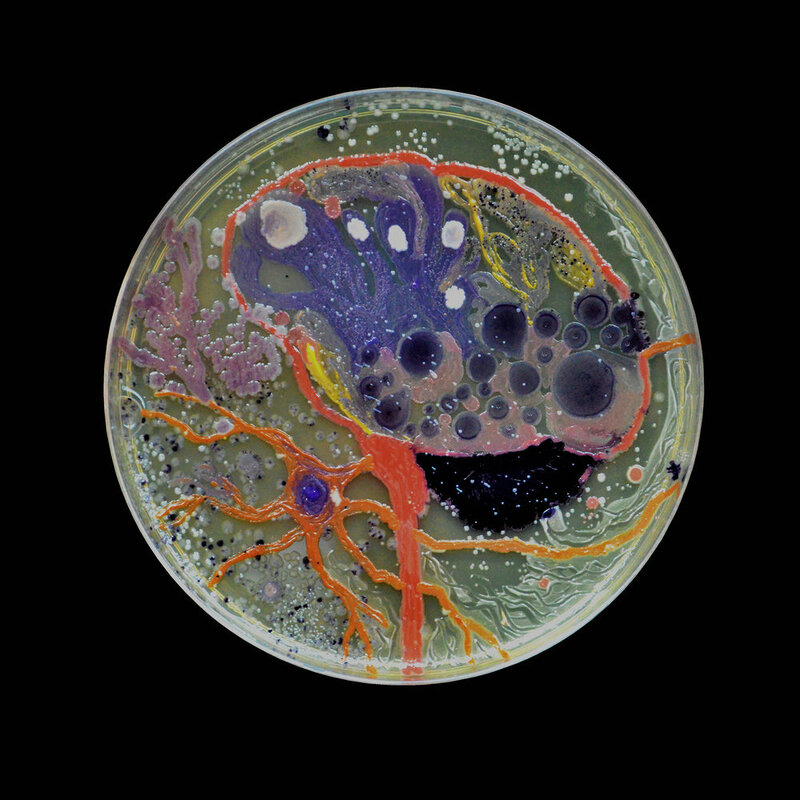 Maria won first prize in 2015 and third prize in 2018 from the American Society for Microbiology in the Agar Art Contest. 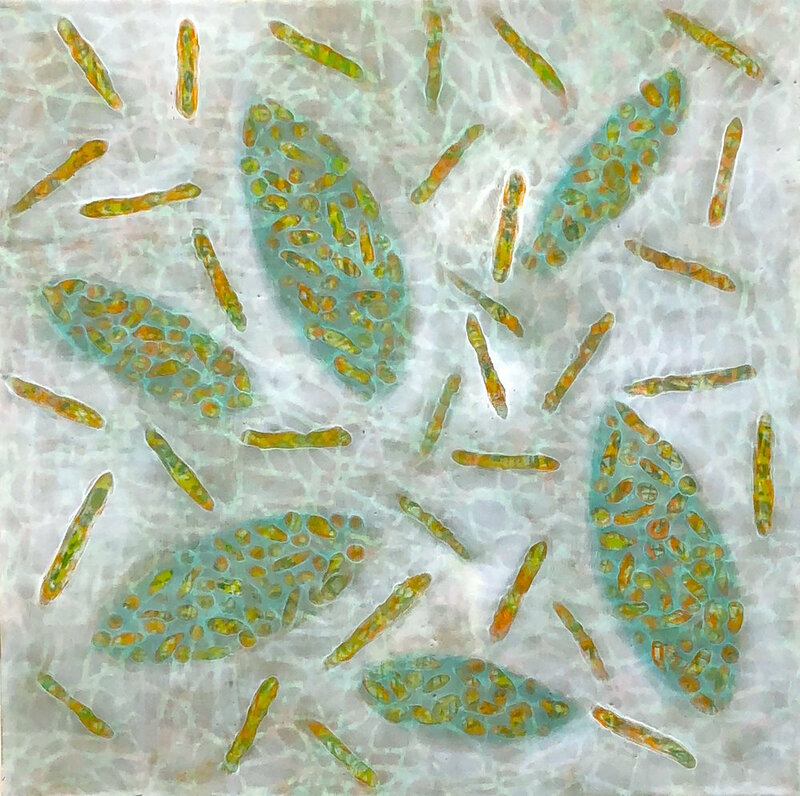 Her TEDx talk “Bacteria is Beautiful” was presented at Columbia College in Chicago. Dr. Mehmet Berkmen is a Turkish-born international microbiologist who received his education in Vienna, Toronto, London, Houston and Boston. 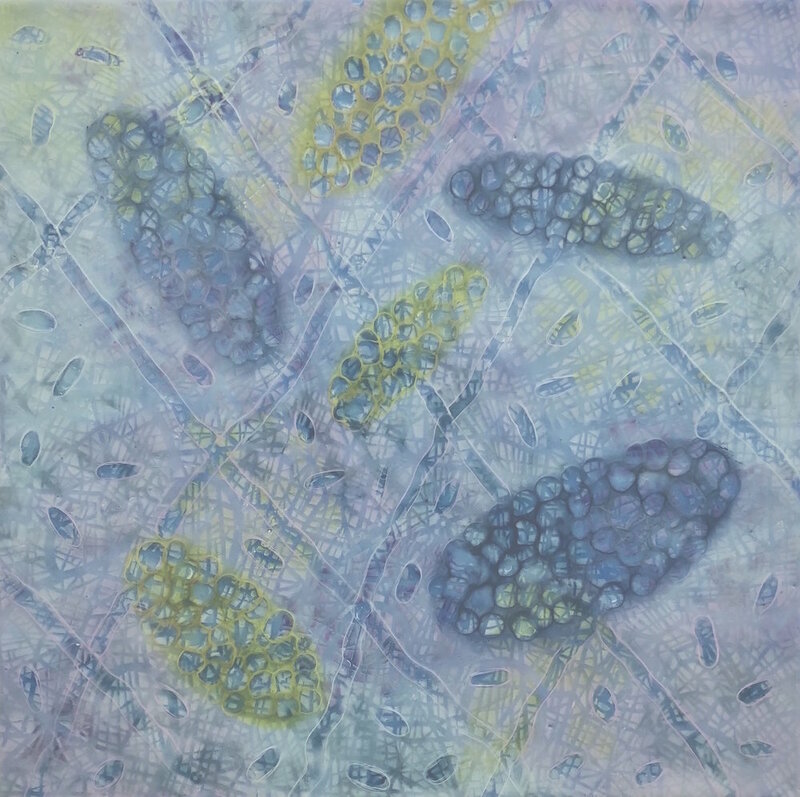 His dream since childhood has been to simultaneously combine high-level scientific methodologies with art processes. He is currently a Senior Scientist at New England Biolabs, where his laboratory conducts research on genetically engineering bacteria to produce proteins. 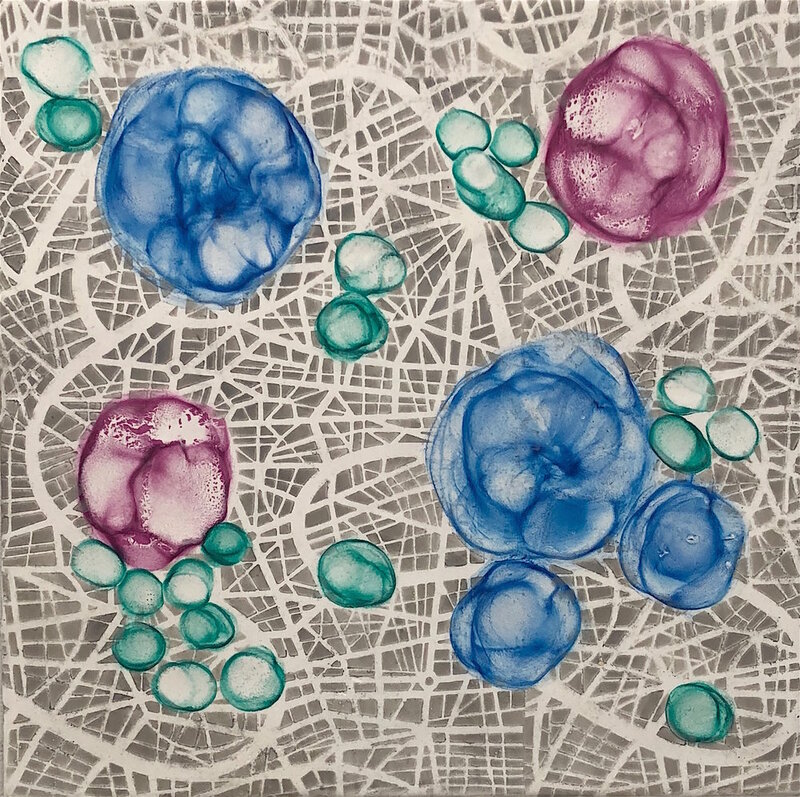 Kay Hartung paints with encaustic, an organic medium that lends itself to building layer upon layer of biomorphic forms suggesting growth, development, and movement. 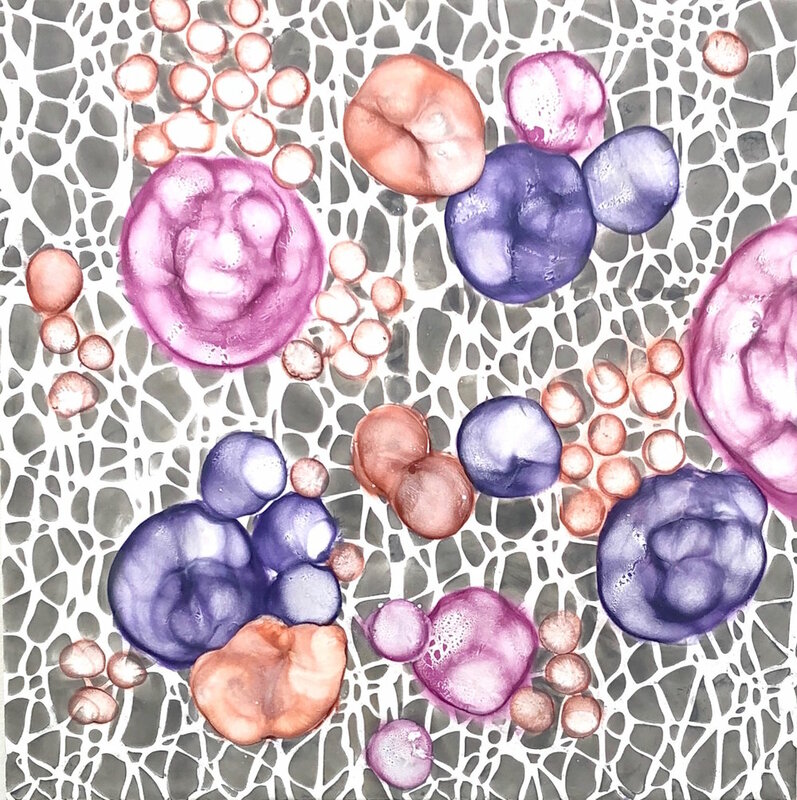 Pattern is a predominant characteristic in her work, repeating shapes, lines and colors that evoke the geometries of microscopic structures within the body and the natural world. 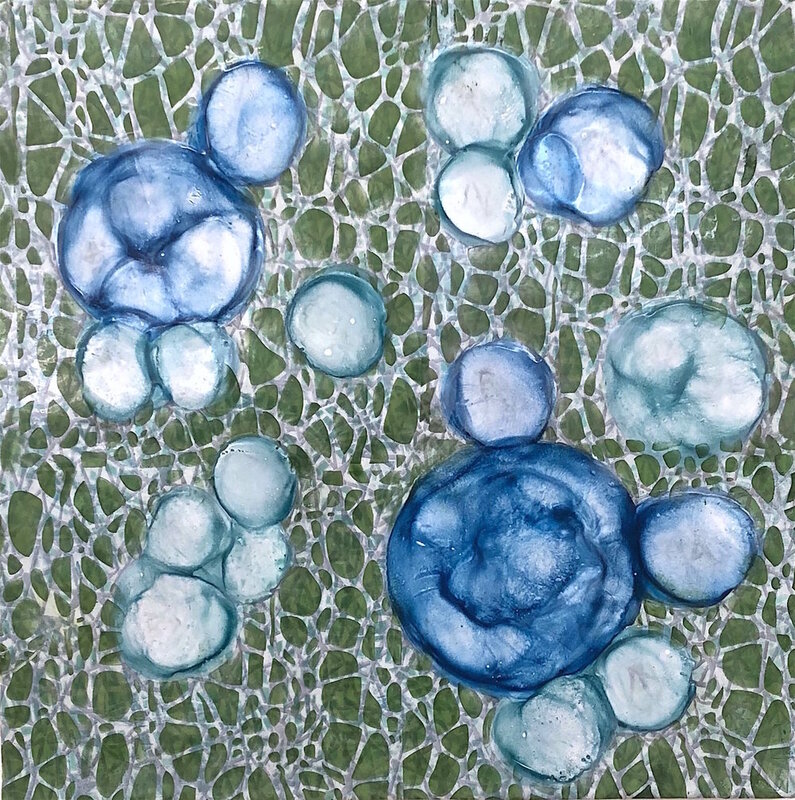 A mixed media artist and educator, she has exhibited nationally and her art is included in many private and corporate collections. 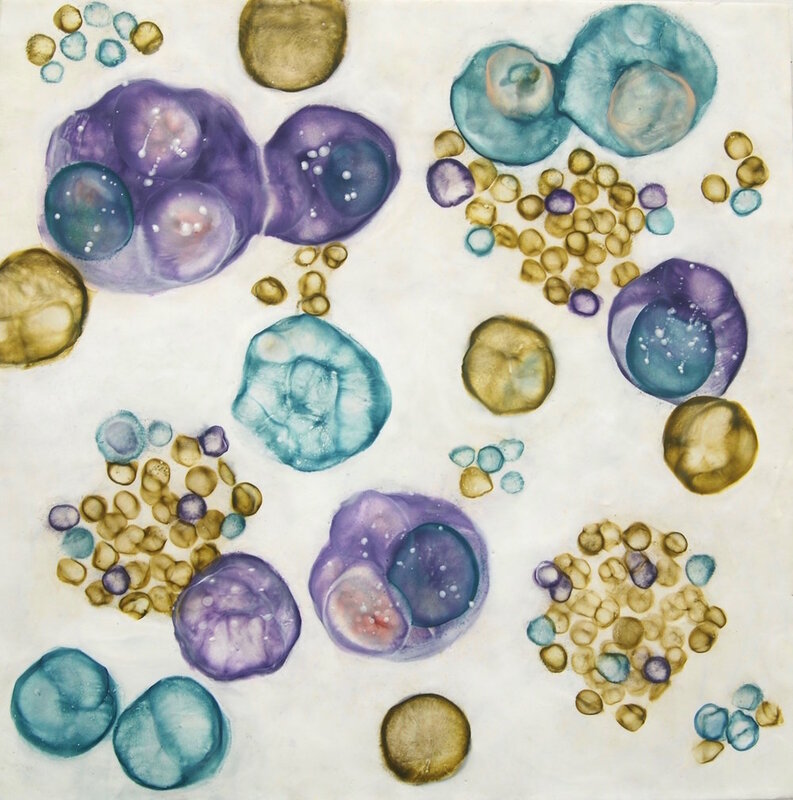 Additionally, she has created specially commissioned pieces for public and residential spaces. 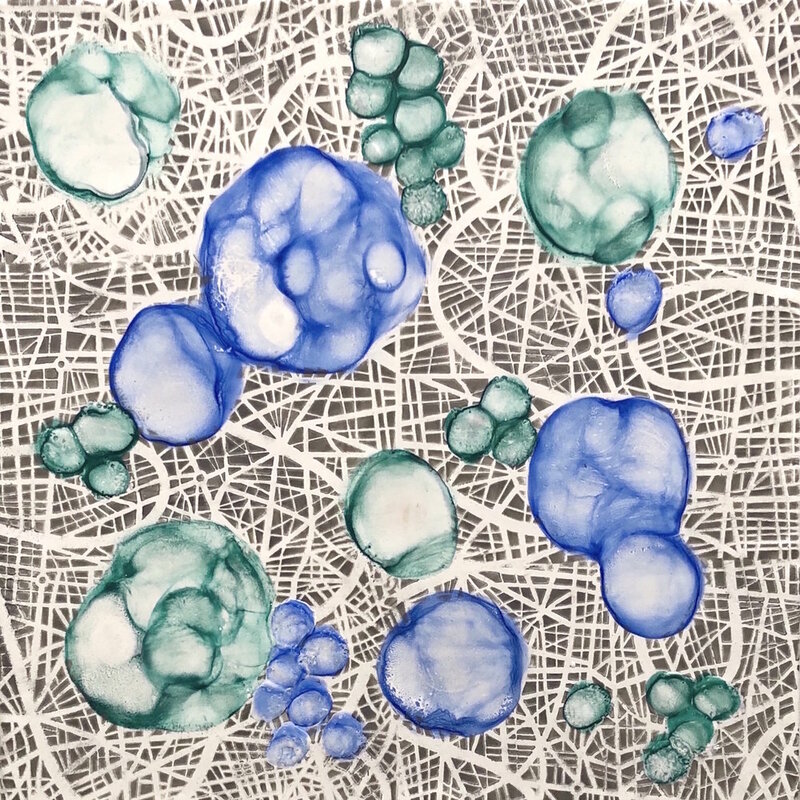 After graduating from the Philadelphia College of Art with a BFA and earning her MFA from Syracuse University, she served on the faculty of Bradford College in the Creative Arts Division for 20 years. Kay has received grants from the Somerville Arts Council, Malden Arts Council and the Ford Foundation. She is a core member of Fountain Street.